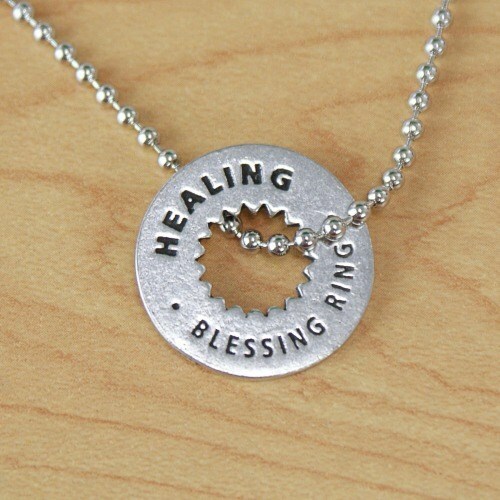 Our engraved Healing charm is a versatile token that touches the heart. It tells your story and gives inspirational blessings to all who need it. With its quarter size, the token will fit perfectly in your pocket. You may also choose to display this token Awareness Jewelry from our optional key chain or 18” ball chain necklace. It features an inspirational message on the back that reads, “Inner Peace”. It is individually hand-crafted in recycled, lead-free pewter, the center outlines a symbol to reflect the sentiment. Made in the U.S.A.